“Can I show you something?”, a foster-mother asked as I entered her home to check on the teenager living with her. “Sure”, I said. She ran to the kitchen, grabbed a letter, and handed it to me. “It came in the mail today”, she said in a soft tone and gentle smile. I unfolded the hand-written letter, and began to read it. The letter was written by a former foster child who lived in her home for less than one year. He told her that he had gotten in serious trouble since he left her home, and had to pay for his crime in the local jail. He told her about his baby girl, and fiance, and how he wanted to be a good father and husband. He also spoke of the impact she had made on his life in just the short time he was there. “You showed me what it is like to have a family”, he said. He then reminded her that he witnessed the devotion she had to her family, and to her faith. During his time in jail, he thought a lot about his time in her home, and realized that the life he was living was not one that would support his child, his fiance, or his desire to be the man he desperately wanted to be. Tonight, I was unfortunately reminded that the choices we make to better someone else’s life are not always supported by those closest to us. A visit from one of my in-laws revealed this person’s opinion that we do not have support regarding our taking in my infant cousin who was in need of stability and security. This person’s complete disregard for this child conflicts greatly with the stated faith this person believes in. It is disappointing, and a little infuriating, but it certainly does not dis-sway us from doing what we felt led to do. I’m sure that the foster-mother I spoke of earlier was confronted with opposing opinions about her desire to do foster care. It would not surprise me if people questioned why she wanted to bring in “troubled” children and teenagers. They may have provided her with multiple reasons why she should not have become a foster parent, and maybe even, distanced themselves from her. There might have even been moments when she doubted her ability to get through to the toughest of kids. She probably questioned from time to time if she was making a difference in their lives. But….that short, sloppy-written, but significant letter came, and it reminded her of the reason she chose to invest in the lives of others. The Lord gives glimpses of goodness, and reminders that our decision to choose life-affirming and love-giving actions matter. I’ve seen it when watching my daughter nurture her older brother when he was not feeling well, or when watching the kids interact and love on the baby. Today, I saw a glimpse of goodness when my son chose to give up his change with the knowledge that it will be used to bless someone else. It seems the Lord gives us these glimpses in order to encourage us to keep on doing what we feel in our hearts is right to do. He also gives us these moments to affirm how our choices, whether good or bad, affects others, and can be mimicked by the little ones in our lives. If you have made a choice to do something that will affect others around you, or if you are being confronted with a situation where it would be easy to think “let someone else handle it”, then I want to encourage you to consider prayerfully and with wisdom what the right thing is for you to do. Don’t let the blurred vision of others, or self-doubt, stop you from doing what your heart is leading you to do. After all, you wouldn’t want to miss the incredibly humbling, and sweet glimpses of the goodness of life. 1 Peter 4:10-11- As each one has received a special gift, employ it in serving one another, as good stewards of the manifold grace of God. Whoever speaks, let him speak, as it were, the utterances of God; whoever serves, let him do so as by the strength which God supplies; so that in all things God may be glorified through Jesus Christ, to whom belongs the glory and dominion forever and ever. Amen. Help me to make good choices at school. I want to be good. Help me Lord. The prayer was straight to the point, had few words, but so meaningful. He knew what he wanted. He simply asked for it. He stated his desire to be good. He acknowledged his need for the Lord to help him. I think a lot of us adults could learn a lesson or two in this…don’t you? During Mother’s Day weekend, one might expect me to write about my adoption experience and the incredible love I have for my kiddos. Instead, I’m choosing to focus on my own mother. Mom is quiet, doesn’t seek attention; yet, strong. She is stronger than she gives herself credit for being. She is also faithful and fiercely loyal. 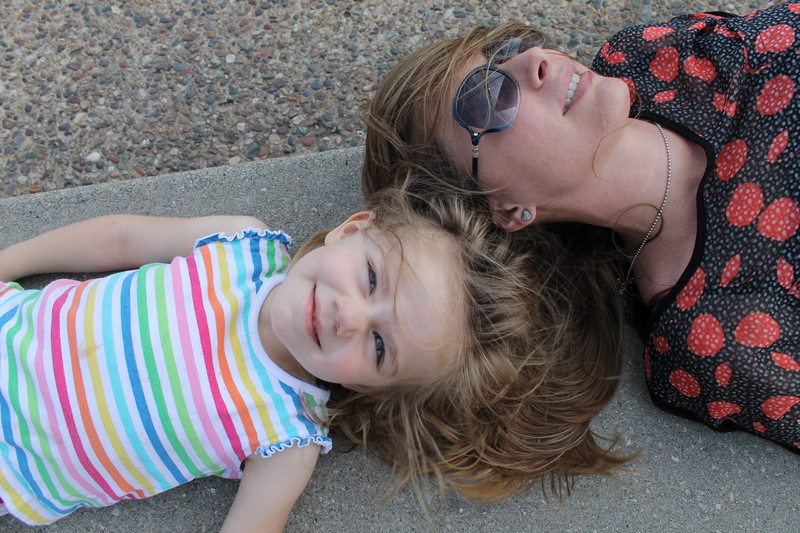 It was not until I became a momma that I realized her resiliency, courage, and unselfishness. To say I was blessed growing up is an understatement. My childhood home was often filled with the smell of sugary sweetness from mom’s baked goodies. It was fairly common to have homemade French toast waiting for me when I woke up. I did not just have a mother; she was a “mommy”. Often, she would be waiting after school to walk me home, after having made a sweet surprise that would greet me when I got there. Fresh brownies, hand-made ice cream sandwiches, and sugar cookies drizzled with icing that spelled out my name were all part of the wonderment of my mom’s love through her baking. I would collapse onto the soft couch with a morsel of something delicious, feeling the love and comfort of home. It does a child good to feel as though she is the center of someone’s universe. My mom, though reserved, was also very much liked by the kids in the neighborhood and dance studio. Girls would stay the night with me and thoroughly enjoy the vast array of mom’s meals and desserts. I just assumed every mother was like my mom. Although on a tight budget, I never went without anything. She often bought second hand clothes for herself, so I would have the best. My hair was always fixed, clothes clean and ironed if needed, and shoes matching… Mom took pride in taking care of my needs. Life was pretty normal for us until my illness at the age of eleven. Now, I’m not talking just a little sick. I’m talking going from running in the countryside while visiting my uncle at his farm to facing certain death. A week passed by and all my mom or the doctors knew was that I was dying from massive infection. Exploratory surgery had to be completed to try and figure out what in the world was going on with me. They suspected cancer, but were not certain. During the surgery, mom escaped off to a room and sat by herself for about three to four hours pondering the thought of losing me to cancer. She tried to prepare herself for the grim news. “How can it be?”, mom must have thought. It was so out of the blue. With the exception of the previous surgeries (appendectomy and adhesion’s), I had been healthy, active, adventurous, and full of life. How do parents truly prepare themselves for hearing the worst possible news about their child? Once the surgery was over, mom was told devastating news. The doctors had to remove my uterus, Fallopian tubes, and right ovary. It was not cancer though. They had not figured out what type of bacteria it was or how I got it, but if left in, I would have died. Not long after she was told, she and my dad went off to a room by themselves and let out a wail. I wonder what this sounded like. It must have been one of those guttural sounds that come from deep pain…not just the ones you can hear, but ones you can feel. Yes, I was alive, but the impact of what had occurred was life-long. Sometimes I close my eyes and picture mom and dad huddled in a sterile white hospital waiting room. They must have been holding on tightly to each other. I wonder if they were shaking out of anger, fear, or exhaustion…perhaps all of them out the same time. My seemingly normal life had just come to a screeching halt. It would never be the same. But, neither would theirs. Their daughter’s tragedy; their own parenting experience forever indented with sadness. Three and half weeks passed by while I was in the hospital fighting the infection. Mom was there all of the time. She put on a brave face, smiled at me through her pain, and held my hand during those long days in the hospital. Her daughter went from being vibrant and energetic to lying in the hospital bed with one foot in this world and the other in Heaven. Yet, she never let me see her scared. Mom was also grieving as she knew what the surgery meant for the rest of my life. It was more than just a brief illness that I would hopefully recover from. She grieved for the fact that something very special was taken away from me. People would try to tell her things or come up with “reasons”, but she was still trying to figure what the purpose of it all was. Yet, she knew it was important for my life to go on and for me have a sense of normalcy. This must have been difficult for her. She carried this burden by herself so that I could get back to being a pre-teen girl. I was not aware of the full gravity of the situation, but she was. Mom fought to regain life for me. She made sure I went right back to doing the things I loved; dancing, socializing with friends, etc. However, the surgery did not just affect my life. Through my tragedy, she had to bear witness to and experience the impact of infertility. She too had just been dealt a huge blow. She would never have a biological grandchild. This must have saddened her. Yet, there she was strong, silent, and smiling. Mom might say that I am the one who was the most resilient during that fateful time in my life. I definitely had the fight in me to survive. Yet, she’s the one who had to navigate raising a daughter who was unlike any other girls. She had to walk through life parenting a daughter who would never experience the joy of announcing a pregnancy, the surprise of finding out the gender, and the moment of seeing her child be born. My mom would also never hear the delightful words of “You’re going to be a grandma”. She would never be able to await anxiously to find out the gender. And, she would never have the opportunity to sit in a waiting room for hours before gazing upon her grandchild for the first time. But, mom is also the one who modeled how to face the darkness with courage, how to look to the future, and how to seize control back from something that was totally out of control. She’s the one who held in her fears so that I would not absorb them. She’s the one who told me “if you want to achieve something, put your heart into it”. She’s the one who went right back to being the mommy who made home made goodies that brought great comfort and sacrificed her wants so that I would have the very best. She’s the one who never allowed herself to be victimized by this; thus, teaching me to not be a victim of my circumstance. And, she’s the one who didn’t run away from her faith in God. So, mom, thank you for being resilient. Thank you for modeling to me that when life deals you a blow, you just get up, dust off, and walk strong. Thank you for showing and telling me that I was the most important thing in your world. Thank for you giving me security when the floor fell out from under me. I know your grandma experience started out different from others, so thank you for standing by and supporting me while we were foster parents, and for the love you give my children. See mom? The Lord does work all things for good for those who believe in Him. My story didn’t end with infertility. Oh, it may have altered it. It may have brought doubts, anger, and tears. But, my story is now filled with love, hope, grace, faith, and your sweet grandchildren.